Our employment attorneys represent New Jersey public sector employees in disputes with their governmental employers. One area in which we frequently see disputes is the failure to give a “Rice Notice” to employees whose employment may be affected by an action by their governmental employers. New Jersey employees, including non-tenured employees, have the right to advanced notice whenever a governing body, such as a town council or a board of education, is going to discuss the employee’s employment. This notice is called a “Rice Notice” after the case of Rice vs. Union County Regional Board of Education, which upheld the right. Normally, under New Jersey’s Open Public Meetings Act, personnel actions must be discussed in closed session unless all the affected employees request in writing that the discussion be held in the open during the public session of the meeting. The Rice Notice gives the employee the notice they need to actually exercise that right. 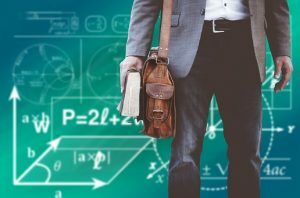 In the recent case of Kean Federation of Teachers vs. Morell, the Appellate Division of the Superior Court of New Jersey had the opportunity to take a fresh look at the requirements for a Rice Notice. In that case the Court was faced with a situation where the Board of Trustees of Kean University delegated the task of evaluating recommendations by the University President for the retention or dismissal of faculty members. The subcommittee evaluated the University President’s recommendations and made its own recommendations to the Full Board. The full Board of Trustees then voted on those recommendations without discussion. The Board argued that because it did not actually discuss any employment matters, but just voted without discussion,a Rice Notice was not necessary. Two of the affected faculty members and their union filed an action in the Superior Court of New Jersey challenging the failure to provide a Rice Notice to the faculty members. The trial judge found that a Rice Notice was not needed because there was no discussion. The employees appealed, and the Appellate Division reversed. The Appellate Division first discussed the history of the Rice Notice. In the Rice case, the Court had found that in order to meaningfully exercise the right to have employment decisions discussed in public session, the affected employee had to have meaningful notice that the discussion was going to take place. For this reason the Court required employers to give the affected employees “reasonable advance notice” to let them make the decision of whether or not to exercise their right to have the discussion occur in public session. In the Kean case, the University argued that it did not need to send a Rice Notice “because there was no intention on the part of the Board to discuss personnel [matters] which could implicate the privacy interests in a closed session.” However, the Appellate Division rejected this argument, calling this reasoning “disturbing.” The Board’s argument showed that there was no substantive discussion by the members of the full Board nor any intention to have such a discussion, and that the only real, substantive discussion of whether or not to terminate the faculty members occurred in the subcommittee, which took place in private, and for which no one was given any notice. The Court explained that while the Board had a perfect right to delegate review of the University President’s recommendation, the individual members of the full board, as the governing body, could not delegate their personal duty to make their own independent decision on the weighty matter of whether or not to terminate an employee’s employment. The Board could not simply approve or disapprove the subcommittee’s resolution without at least the opportunity for deliberation. This would have the effect of rendering New Jersey’s Open Public Meetings Act meaningless. The Open Public Meetings Act presumes that members of New Jersey governing bodies will discuss personnel matters that they are tasked with deciding, question the underlying basis for the actions which the staff recommends, and deliberate in good faith to come to the best decision possible. The Court found that the practice actually exercised by the Board of Trustees was simply a ruse which it used for the purpose of avoiding its obligation to send a Rice Notice to the affected employees. It held that the requirement of sending a Rice Notice could not be avoided. The Rice Notice is required for the dual purpose of giving the affected employees the opportunity both to decide whether they want a public or private discussion, and if public then to give them the opportunity to prepare an appropriate request in writing. The Court ruled firmly and clearly that “a public body is required to send out a Rice notice any time it has placed on its agenda any matters involving the employment, appointment, evaluation of the performance of, promotion, or disciplining of any specific prospective public officer or employee or current public officer or employee employed or appointed by the public body.” Because the affected employees were not given the proper Rice Notice, the Court held the Board’s decision to terminate them null and void. The takeaway is that in New Jersey a governing body cannot simply evade the requirement to give its employees a Rice Notice before they make q decision to which would affect their employment. A word of caution is necessary, however. If the Board makes a decision without delivering the appropriate Rice Notice, it can still cure the violation by subsequently sending a valid Rice Notice and thereafter deliberating and making the same decision at a later meeting. However, the Rice Notice requirement makes sure that the affected employee will have advance notice and the ability to force the decision to be made in the light of day, which in itself may affect the outcome. McLaughlin & Nardi, LLC’s New Jersey employment law attorneys assist public employees in all aspects of their employment relationship with their government employers. We can help you with your employment problems. Email us or call us at (973) 890-0004 to schedule a consultation.